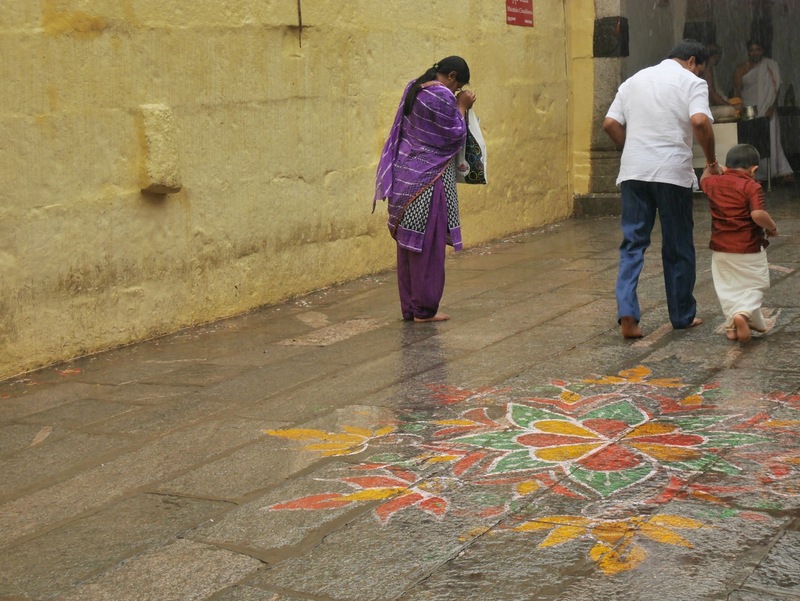 During the festival all houses are decorated with beautiful diyas (clay oil lamps) in the night, which make city glow, and on the second day auspicious ornaments (rangoli) are put in front of the doors. I was very excited to know that this year I would be in India for Diwali, but also extremely saddened to realize that I wouldn’t be able to spend it with the family – more than anything else, this festival is about sharing celebrations with the loved ones, performing poojas (worships) at home, bringing sweets to friends and family and bursting firecrackers with them (which might become very annoying, if you are not doing it yourself!). To my surprise Diwali in Mysore did not appear what I had expected it to be. There were few diyas, not as many festivities, and in fact the only never-ending-bomb-like firecrackers were fired from the neighbouring roof by a group of tourists. As I discovered later, THE festival in Mysore is not Diwali, but Dasara, which was finished just a couple of weeks ago. According to locals this year’s Dasara was not as lavish as usually though, as the area suffered a major drought, and the government decided against overspending for this matter. As I couldn’t share the festival with my closest friends and family this time, I decided to take part in the morning pooja, where a fellow yoga-student and a born Mysorean Vivek kindly suggested to take me along. 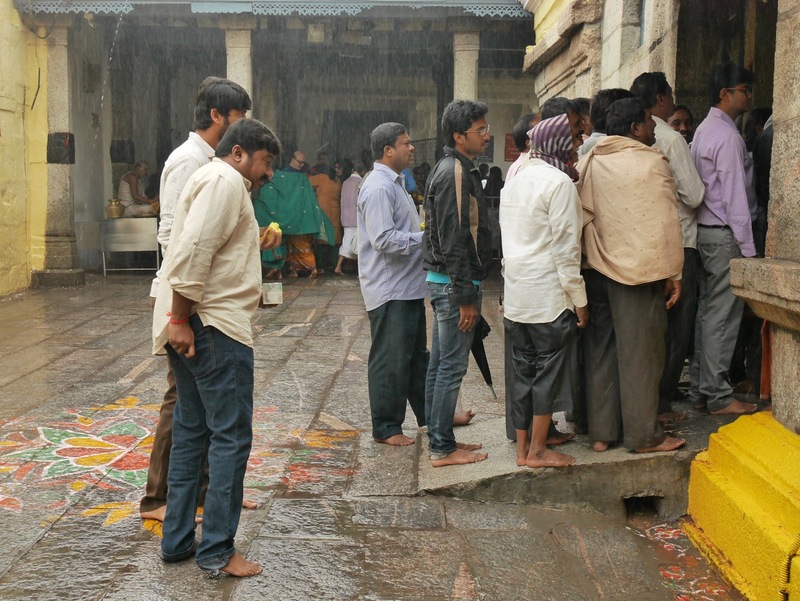 The pooja took place in the famous Sri Chamundeshwari Temple on the Chamundi Hill. 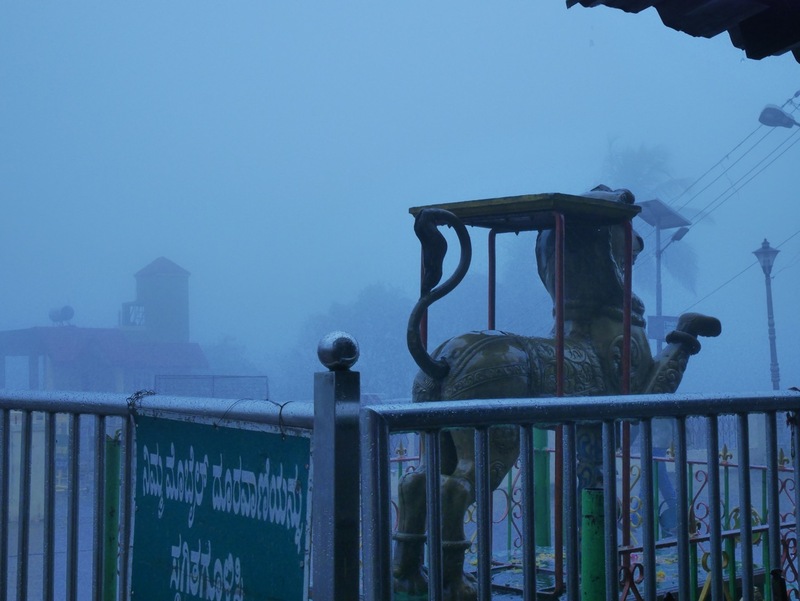 For the past few days it’s been raining cats and dogs, marking famous Mysorean “post-monsoon” season. 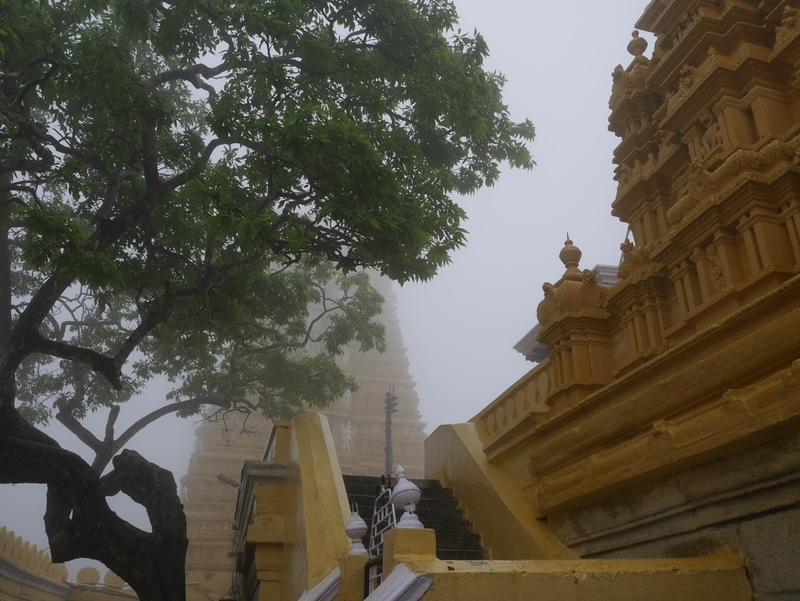 Rain and fog have added magical aura to a windy road up the hill and around the entire temple. At the temple entrance we were greeted by a very hungry local, who rushed to grab the sweetest part of our pooja items. After all, what is a visit to a temple without a monkey attack? Happy Diwali, dear friends, and let the light always win in your life!